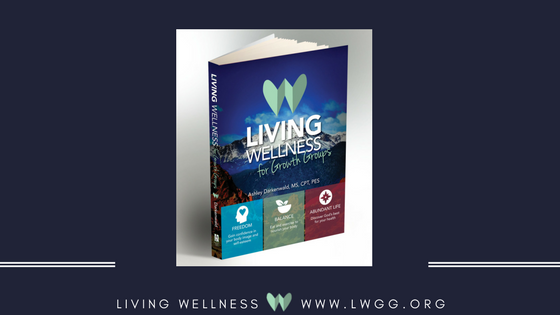 We're very excited to something big: our official Press Release for Living Wellness for Growth Groups! Our book was published in February, but it recently won the Gold Evergreen Metal for the Living Now Book Award! Four years ago, the Evergreen Book Medals were launched to commemorate world-changing books published since the year 2000. We all seek healthier, more fulfilling lives for ourselves and for the planet, and books are important tools for gaining knowledge about how to achieve these goals for ourselves, our loved ones, and for Planet Earth. Divided into five categories, these books are honored for their contributions to positive global change. We're so honored that Living Wellness for Growth Groups won the GOLD Evergreen Metal for the Health and Wellness category! Not everyone recognizes the link between nutrition, fitness, and faith, but longtime personal trainer Ashley Darkenwald is an exception. 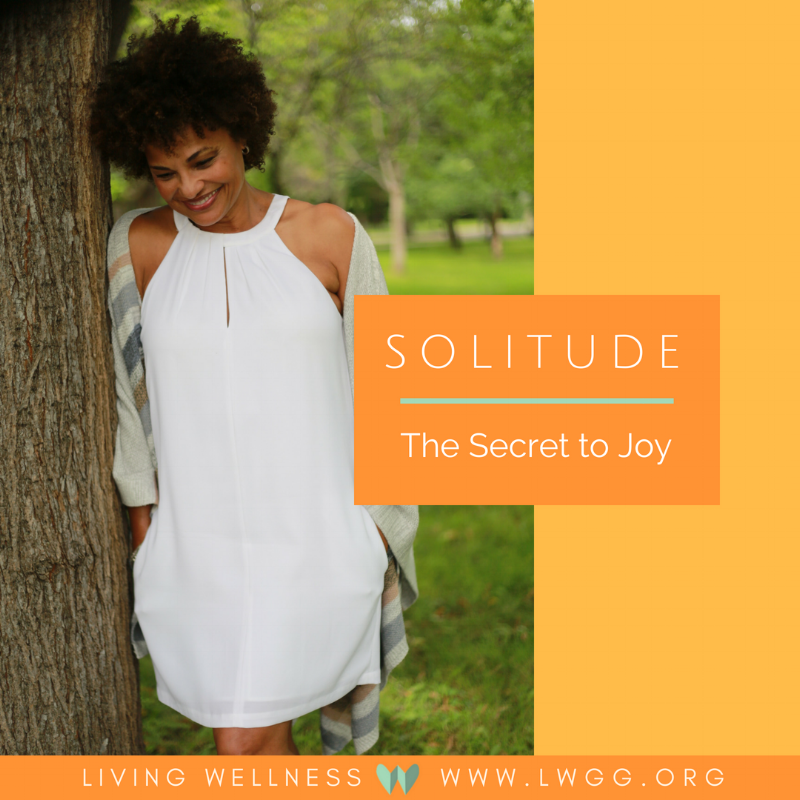 In her award-winning new book Living Wellness for Growth Groups, she takes readers on a journey of self-discovery toward exceptional health through freedom of mind, balanced living, and an abundant relationship with God. Today on the blog, I wanted to do something a little different. I wanted to introduce you to a dear friend of mine: Areya Goodnuff. Yes, I know, she does have a bit of an unusual name. I just checked and it is not on the top 10 (or top 100 for that matter) list of baby names for 2017. Regardless of her quirky name, we're great friends and chat often. Areya Goodnuff and I chat daily. We're besties. Okay...maybe daily was a bit of an understatement. We check in often during the day. Hmm... how often? Maybe really often. Okay, fine, I'd call it frequently. I consult with her about pretty much everything. See Areya Goodnuff just has an opinion about everything and she helps me remember things I might forget. She reminds me how often I forgot to work out this week. How few veggies I've eaten today...or this week. She challenges me to think of other activities I could get myself involved in at home, work, church, community, etc. I mean there's always more of me to go around right? When's the last time I cleaned the toilet? Areya reminds me: three weeks ago. Is a full night of sleep really necessary or could I use some of that time to be more productive--that was an Areya original! She reminds me that I really could do more in the day and that even my best efforts could be better. Isn't it great to have a friend that doesn't let your shortcomings and mistakes fall through the cracks? What would I do without her? What would I be without her? I was to pay x amount, follow the instructions attentively and in x weeks I will achieve x results. The more I thought about it, the more it sounded like how I use to view my work as a personal trainer. Clients would pay x amount, follow the instructions carefully, and in x weeks they would achieve x results. Both of these equations lead to a positive end result. The difference between these two equations, however, was that one ends in lasting change all the time, the other does some of the time. Can you guess which one is which? I feel blessed to live in a place where the season of fall feels so magical. As a child, I loved to jump into piles of raked leaves. This was one of our favorite family celebrations to welcome fall. Many people celebrate the fall season with crisp morning walks, cozy blankets, or homemade apple pie. These I do enjoy, but mostly, fall is a season to meditate on a change in of season, a change in life, and to find peace within God's divine presence. 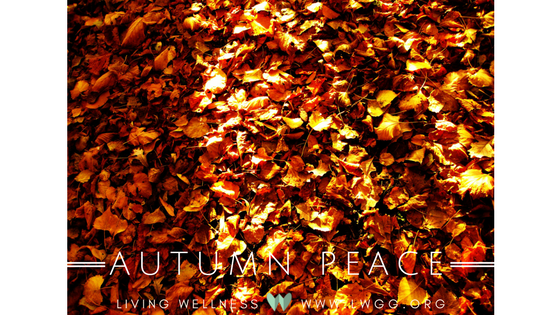 Without the warmth of the sun the leaves surrounding us will begin to change and true colors will be revealed. Friends, we have unique colors within ourselves too, at all times of our lives. God creates our colors to change and shine, and not to be covered up. See your colors as transition, moving into the next season of life. Someone once said to me, "Without change, there will be no change". This made so much sense to me, and to this day I silently speak this in my mind when I am afraid of the unknown or of what will be in my future. Well friends, tomorrow marks the last day of our #LWGG30Day Challenge. Thank you for sharing this journey with me and supporting me as I challenged myself with my wellness goals. My hope is that over this past month, you found our wellness challenge posts to be inspiring. Inspiring you to nourish your body with different types of exercise. Inspiring you to choose your body with foods that not only satisfy your hunger but nourish your body with the building blocks it needs for health. Inspiring you to take time for yourself. And inspiring you to put nourishing your body, mind, and spirit at the forefront of your mind in order to worship God, honor God, and serve God more fully. Two weeks ago, I shared with you in this post my progress with the Living Wellness 30 Day Challenge, what exercises I found I enjoyed, and a few take-aways that I learned from this challenge. Today, I'd like to share with you one final take-away. Do you feel like you have enough rest? Would you consider yourself “well-rested”? If I’m honest, I’m not sure that I even know what “well-rested” looks like…or feels like. 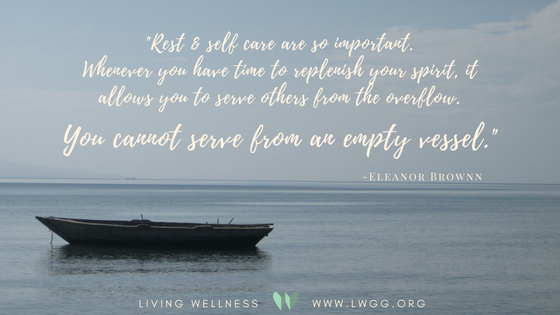 If rest is something that seems to allude you, something that is either just outside your reach or maybe well beyond your reach, consider this: are you allowing yourself rest? Or do you feel this constant ache to achieve, accomplish, complete, check off the list, finish so much so that you cannot allow yourself to rest? I was reminded of a scripture verse this week that has always captured my attention and my heart. This verse quiets that track in my head that nags at me to achieve, accomplish, finish and instead reminds me to rest: “Come to me, all you who are weary and burdened, and I will give you rest” (Matthew 11:28). Jesus was speaking to a crowd of people that were weary and burdened by the religious rules and legalism of his day. He invited them to come, follow him, and find rest—a rest that they could not find outside of him, a true eternal rest. I often find myself too busy to rest. Ever feel that way? My toddler son is currently in a phase where he loves to be a helper. I love this phase, but it can get messy at times. I was getting ready for bed when I heard my husband say, "bring those right to mommy!" A few moments later, I hear little feet walking toward me. My son came in the room holding my phone in one hand and gripping my glasses with the other. He very carefully handed them to me and looked at me with an anticipatory grin waiting for my praise. I thanked him for being such a good helper while also grimacing a bit. See my son doesn't know the best way to hold glasses. He held them securely yet gently, but he held them by grasping just the lenses with his sweet, little, sweaty hands. I looked at my lenses and they were completely smudged--though nothing a little soap and water couldn't take care of. You may be wondering what I'm getting at with this--Just give me a moment and I'll explain. Can you imagine what it would have been like to be an early follower of Jesus during those three days after his death? I imagine that day one must have been full of shock--"this Jesus we've been following and listening to is gone." The second day, I imagine that panic and doubt would have started to set in--"I thought He was supposed to be the Savior...Could the Savior truly have been killed?...What do we do now." All of those moments of amazement after viewing miracle after miracle slowly start fading as the thoughts of doubt start creeping in--"did those miracles really happen? Did Jesus really heal those people. Did Jesus really say...?" Day three, I imagine my thoughts start turning to what others may start thinking about me or saying to me--"didn't you follow that Jesus? Where is He now? Guess He wasn't all that He said He was." Oh how quickly we forget the truth and how easily we slip into believing the lies. Today we remember and we celebrate that day three did not end like a normal day. It didn't end like days one or two. No, day three was the day that changed everything. Jesus did the impossible. Jesus fulfilled Scriptures that were written hundreds and hundreds of years before (such as Deuteronomy 18:18). On day three, Jesus, who was dead, rose from the grave fully alive! Jesus, who was present and active in the creation of the world, died a horrible death to be a ransom for the sins of the world. He died that horrible death and rose again for you. What a fantastic weekend at the Home and Garden Show in Minneapolis and the Bridging the Gap Sisterhood Leadership Retreat in Alexandria! It was so exciting to share the message of Living Wellness with people who were on such different parts of their wellness journey–from those just getting started to the veterans who have been making healthy living choices for years. Although the Bridging the Gap Retreat is done, you can still catch us today (Sunday 2/26) and next weekend (3/3-3/5) at the Home and Garden Show. See you there! My speaking topic at the Bridging the Gap Sisterhood Leadership Retreat was on how to avoid burnout by incorporating freedom, balance, and abundance into our health. One strategy I mentioned for avoiding burnout is to nourish your body through the practice of mindful eating. 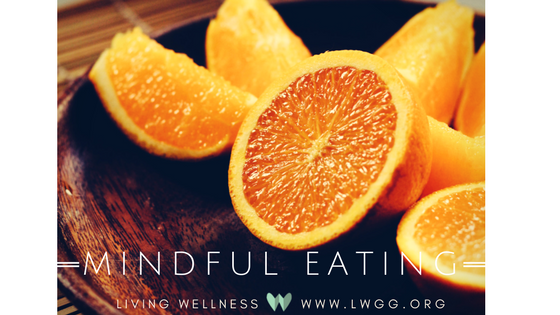 As I promised in my talk, here’s your step-by-step guide for how to practice Mindful Eating. 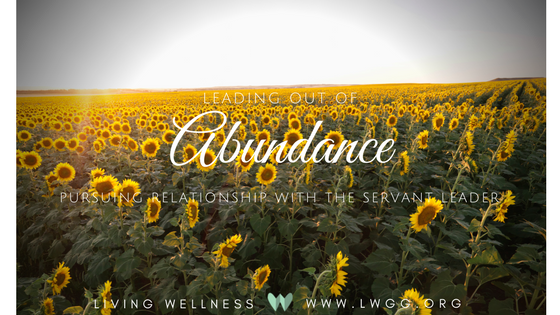 This post is an excerpt from my new book Living Wellness for Growth Groups which is available our website, Amazon, and Itasca Books. I have a confession to make. I recently started listening to Christmas music again. I know, I know…it’s February! It has been seven weeks since Christmas. Forty-nine days. Not sure about you, but it feels like it has been forever. I began listening to Christmas music again when I began to feel this insistent sense of longing, longing for something more. In our Christmas post, I talked about this sense of longing. I challenged you to fill that sense of longing with the abundant life Jesus offered when he came as a baby lying in a manger. As we move into mid-February, the snow is melting a bit revealing a brown and lifeless looking scenery. I find that this is a really tough season of the year for a lot of people, including myself. The Christmas parties are over, the Christmas cookies are gone, all of the excitement and hype of the season is done. And we’re left with an ache for something more. We’re counting down the hours of our Kickstarter campaign to launch the new Living Wellness for Growth Groups! Right now it’s t minus 58 hours and we’re less than $500 from our goal! 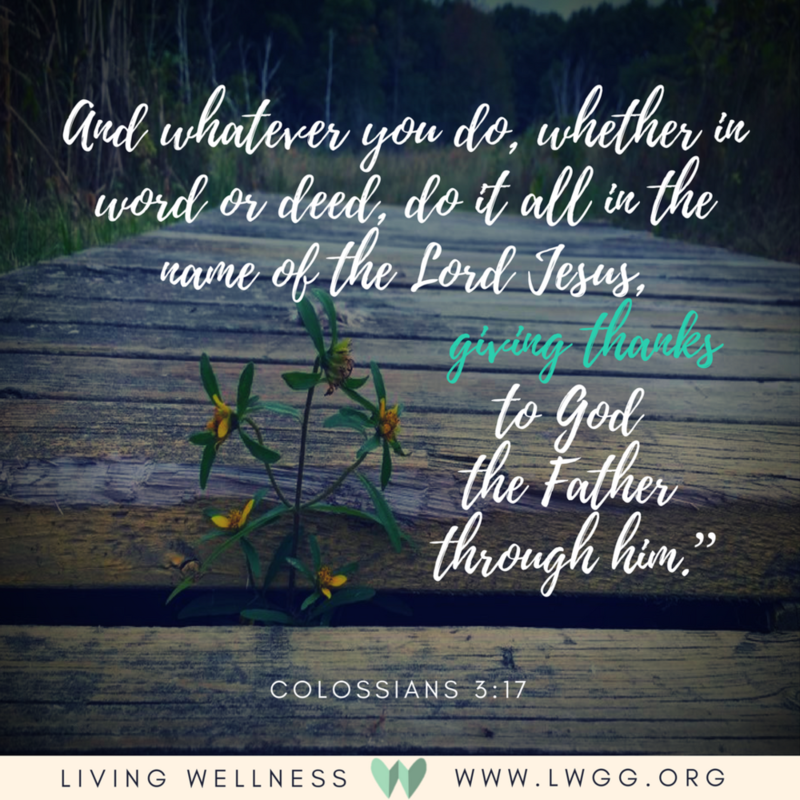 In light of the campaign coming to a close, I wanted to share my heart with you—why I wrote Living Wellness for Growth Groups. I wrote this book not for the fame or money, but to share the knowledge I have gained in my own journey of living wellness.